Since 1998, we’ve been the firm to come to when you’re making huge transitions in your life. From helping you start anew with immigration or divorce cases to assisting you with filing bankruptcy or for your social security, our experienced team members are serious about providing you with everything you need. As a former immigrant, the owner of our firm knows what it’s like to go through the process and this experience will be used to help you every step of the way. All of our lawyers have been to law school and made a choice to have a career where they can help those in need. Get in touch with us today to find out how you can hire a lawyer that fits your budget with our payment plan. 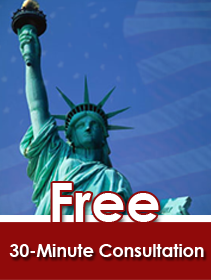 Call (513) 977-4223 to request services from our immigration lawyer in Cincinnati, Ohio.